Timosha Guest House is owned and managed by Tiny Ledwaba and family and she aims to make guests' stay pleasurable and fulfilling. Tiny and her family are proudly Ndebeles of Limpopo and the name ‘Timosha’ is an acronym standing for Tiny, her son,Moeletsi, and daughter Shadi. 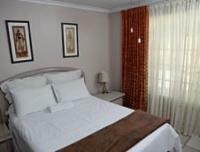 Timosha Guest House is conveniently located in Kempton Park, which is a large town in the East Rand of Gauteng. Kempton Park is situated next to one of the largest townships in South Africa known as Tembisa, and there are also several historical sites and cultural villages nearby. 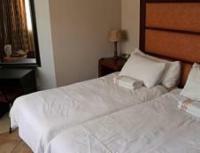 It is also ideally situated as it is very close to the international airport. 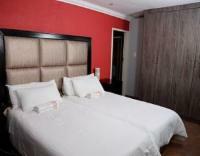 Timosha Guest House offers accommodation in comfortable double and twin rooms with en-suite bathrooms. Secure on-site parking is also available. There are several golf courses, shopping malls and soccer stadiums nearby, as well as night clubs and restaurants for guests' entertainment. Breakfast is available at an additional fee. 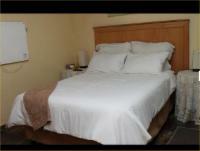 Standard Room Sleeps 2 Includes: B & B Rooms / Units: 10 Double bed, shower, tea/coffee tray, TV, table, fridge, study lamp. Standard En-suite Room Sleeps 4 Includes: B & B Rooms / Units: 9 Double Bed, 2 x single couches, bath and shower, tea/coffee tray, TV, table, fridge, study lamp. 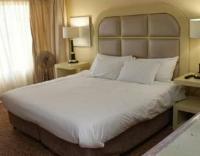 En-suite Twin Room Sleeps 2 Includes: B & B Twin beds, bath and shower, tea/coffee tray, TV, table, fridge, study lamp. Family Room Sleeps 4 Includes: B & B Rooms / Units: 8 2 x Double beds, shower, washing basin, tea/coffee tray, TV, table, fridge, study lamp. Timosha Guest House is 20.7km from the centre of Johannesburg , the nearest airport 9.5km (Johannesburg International Airport).